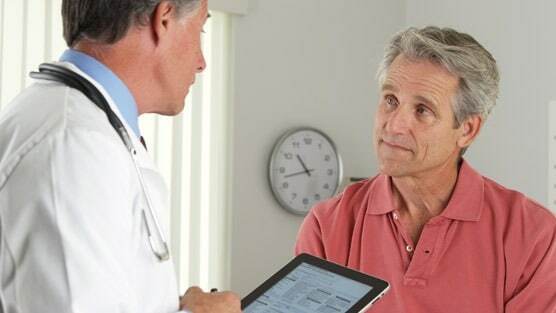 Are Men with Low Risk Prostate Cancer Being Monitored Closely Enough? You are here: Home / Press Releases / Are Men with Low Risk Prostate Cancer Being Monitored Closely Enough? NEW YORK, Feb. 4, 2016 /PRNewswire/ — A recent study from the University of California found that many men who choose ‘active surveillance’ do not follow up with tests and office visits as they should be. The study was funded by a Department of Defense Prostate Cancer Physician Training Award and by the National Institutes of Health Loan Repayment Program and analyzed men who forgo aggressive treatment, like surgery, for prostate cancer. What they found was that the men opting for active surveillance were doing little surveillance at all, rather than closely monitoring their cancer as planned. According to Dr. David Samadi, “Despite the efforts made in regards to early detection for prostate cancer, the disease remains the second leading cancer cause of death in men.” Men with early-stage prostate cancer are increasingly opting for regular monitoring and holding off on treatment unless the disease progresses. Men diagnosed with low-risk prostate cancer opt for active surveillance to avoid the potential side effects of surgery and radiation like incontinence or sexual dysfunction. The UCLA researchers found that less than 5% of men who chose active surveillance over aggressive treatment were being monitored appropriately. This increases the chances of prostate cancer metastasizing and progressing without their knowledge or the knowledge of their physicians. Dr. Samadi believes, “This study matters because active surveillance should not be considered a viable treatment option, unless it is managed properly. If patients diagnosed with low grade cancer are not being monitored, they are essentially ignoring their diagnosis, and may not be able to treat it effectively at a later time when monitoring has resumed.” The study also found that men likely cured through aggressive treatment were followed more closely than patients whose cancers were left untreated. “If patients opt for active surveillance, they need to be committed to close monitoring and surveillance through routine PSAs, physical examinations, and additional biopsies,” says Dr. Samadi. “Similarly, physicians should be even more cautious with these cases as the trajectory of the disease is unknown from month to month. As you can see, being lax about an active surveillance plan can have huge ramifications for both patients and physicians.” You can read more about this study in the journal Cancer. Patients newly diagnosed with prostate cancer can contact world renowned prostate cancer surgeon and urologic oncologist, Dr.David Samadi, for a phone consultation and to learn more about PSA screening. Call 212.365.5000 to set up your consultation.